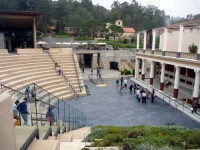 Last night I arrived in LA where Joel picked me up from the airport and we drove to Pasadena where he's current staying. 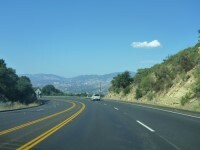 In the morning we packed the car and headed to the Bob Hope Airport in Burbank to switch rental cars. 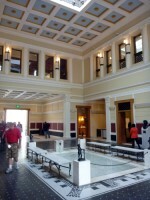 After getting back on the road, we drove up to our first stop, The Getty Villa in Malibu. 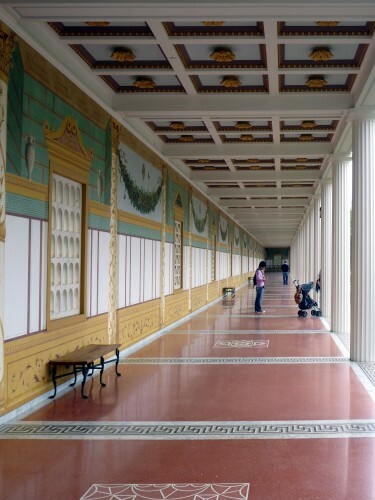 (Technically it's in LA) The Getty Villa is designed to look like the Villa of the Papyri at Herculaneium with open courtyards, marble floors, and walls painted to look like the villa. 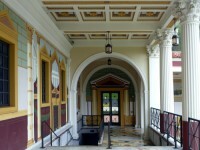 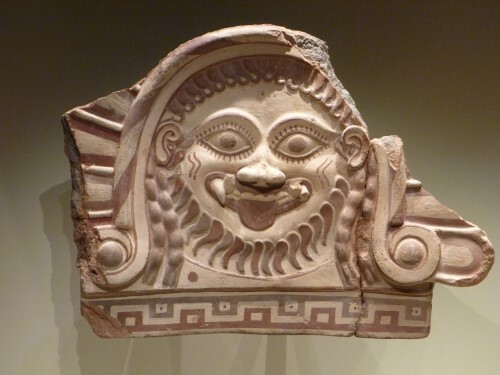 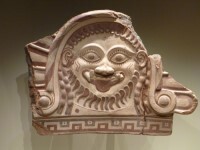 The museum contains works of art from Greek, Roman, and Etruscan. After spending a few hours seeing all the exhibits in the museum, we got back on the road and drove up part of The Pacific Coast Highway before heading to the 101 on our way to Monterey. 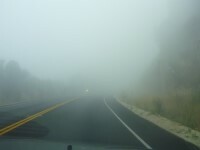 As we were heading up into the mountains we noticed a number of signs telling us to turn on our headlights when all of sudden the fog came in so thick we could barely see more than a few feet in front of the car. Just as we were saying, "gee, I hope the rest of the trip isn't like this," suddenly the fog disappeared and we were in clear sky with a great view of the mountains. Very cool.